The Chuchuhuasi is a native plant of the Amazon Jungle, its habitat is made up of the high and low Amazon of Peru and the department of Tumbes. The bark of the plant has among its active ingredients: alkaloids, flavonoids, quinones, coumarins, phenols, saponins, tannins and organic acids. 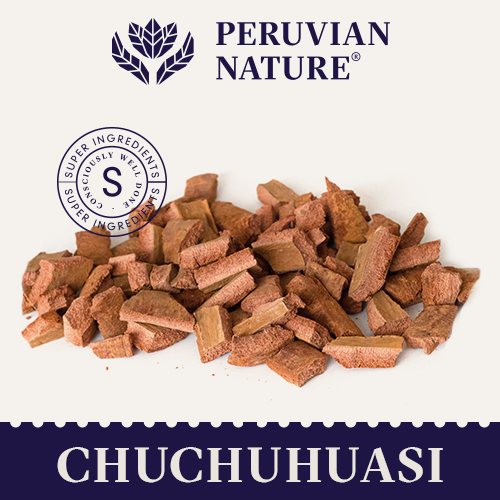 Due to the effect of these ingredients, Chuchuhuasi is known for its energizing and toning properties. Part used: Bark. Presentation: Chuchuhuasi powderUses and applications: Teas and pills. Your message will be sent directly to Peruvian Nature and will be answered at their discretion.